Use this form to request a booking or just to ask us a question. We try to reply within 24 hours. If requesting a booking we will confirm availability and email back you a booking form. On receipt, you should complete the booking form, pay the deposit or full payment, and email it back to us. All instructions are included on the booking form. Until we receive the booking form, the booking is reserved for you, but only provisionally. 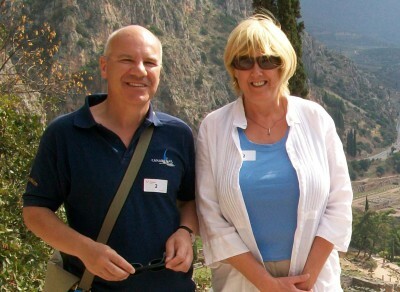 We are Carol and Graham from East Yorkshire. Since taking retirement we have travelled the sunnier parts of France in our camper van looking for a holiday home. We love France and were looking for somewhere more permanent than our 6m van. We like walking, swimming and biking so being near both the coast and countryside is important to us. But equally, the one thing we don't want to do on holiday is to get the car out everyday or have to drive back from a restaurant. We chose La Maison Pierre primarily because of its sunny garden and its location. Here we are almost in the countryside and close to the coast and yet have everying we need within walking distance.